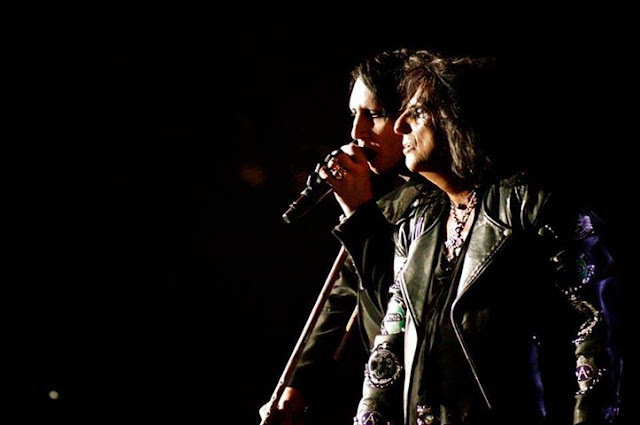 Quality fan-filmed video footage of Alice Cooper's entire June 20 concert at Bank Of New Hampshire Pavilion At Meadowbrook in Gilford, New Hampshire can be seen below. Cooper and Marilyn Manson have teamed up for "Masters Of Madness" through June 28. Following recent pairings of Alice with Rob Zombie and then Rob Zombie with Manson, this combination of Alice Cooper and Marilyn Manson has been long awaited by fans of both artists.